LOS ANGELES – February 9, 2019 – SHOWTIME announced today it has acquired U.S. rights to THE GO-GO’S, a feature documentary about the most successful female rock band of all time, with plans to premiere the film later this year. Alison Ellwood (HISTORY OF THE EAGLES, American Jihad) will direct the project. The band granted full access for this textured biography featuring candid interviews and archival footage to tell the real story of their meteoric rise to fame and the journeys, triumphs, laughter and struggles along the way. As the first multi-platinum-selling, all-female band to play their own instruments, write their own songs and have a No. 1 album, the Go-Go’s are rooted in music history as not just a pop phenomenon but groundbreakers as well. Born out of the L.A. punk scene, Charlotte Caffey (lead guitar, keyboards and vocals), Belinda Carlisle (lead vocals), Gina Schock (drums), Kathy Valentine (bass and vocals) and Jane Wiedlin (guitar & vocals) didn’t play the part of bad girls – they were genuine punk rockers. Their 1981 debut album “Beauty and the Beat,” featuring the hits “Our Lips Are Sealed” (one of Rolling Stone’s ‘Top 100 Pop Singles’) and “We Got the Beat,” was one of the most successful debut albums of all times, was at No. 1 on the Billboard charts for six consecutive weeks, and resulted in a Grammy® nomination for Best New Artist. Ellwood’s feature film directing credits include HISTORY OF THE EAGLES, American Jihad, Spring Broke and Magic Trip: Ken Kesey’s Search for a Kool Place. Her television directing credits include Death Row Stories, Locked In for 30 for 30, No Limits for Nine for IX, The Human Behavior Experiments, the Emmy® Award-winning series American High, The Travelers and Sixteen. She has produced and edited several feature documentary films including Oscar® nominated Enron: The Smartest Guys in the Room, Catching Hell, Gonzo: The Life and Work of Dr. Hunter S. Thompson, My Trip to Al Qaeda, and Casino Jack and the United States of Money. David Blackman and Daniel Inkeles will serve as executive producers. 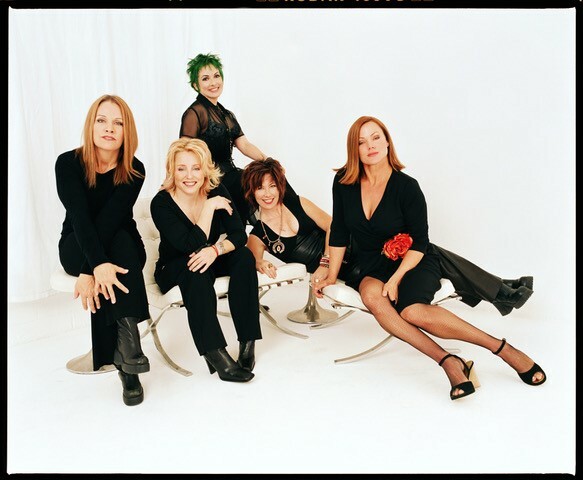 THE GO-GO’S is presented and produced by Polygram, Universal Music Publishing Group, Fine Point Films and Fadoo Productions. Showtime Networks Inc. (SNI), a wholly owned subsidiary of CBS Corporation, owns and operates the premium television networks SHOWTIME®, THE MOVIE CHANNEL™ and FLIX®, and also offers SHOWTIME ON DEMAND®, THE MOVIE CHANNEL™ ON DEMAND and FLIX ON DEMAND®, and the network's authentication service SHOWTIME ANYTIME®. Showtime Digital Inc., a wholly owned subsidiary of SNI, operates the stand-alone streaming service SHOWTIME®. SHOWTIME is currently available to subscribers via cable, DBS, and telco providers, and as a stand-alone streaming service through Amazon, Apple®, Google, LG Smart TVs, Oculus Go, Roku®, Samsung Smart TVs and Xbox One. Consumers can also subscribe to SHOWTIME via Amazon’s Prime Video Channels, DirecTV Now, FuboTV, Hulu, Sling TV, Sony PlayStation™ Vue, and YouTube TV. Viewers can also watch on computers at Showtime.com. SNI also manages Smithsonian Networks™, a joint venture between SNI and the Smithsonian Institution, which offers Smithsonian Channel™ and Smithsonian Channel Plus™. SNI markets and distributes sports and entertainment events for exhibition to subscribers on a pay-per-view basis through SHOWTIME PPV. For more information, go to www.SHO.com.